If you are like most household owners you must have worried at some time or the other about how to get rid of snakes. Maybe you also bought a bottle of snake repellent. And you did right! Snakes belong to the reptile family. They are slimy creatures that creep, having no legs. Some snakes like the burrowing types are harmless while about 40% are venomous to varying degrees (cobra and some vipers). Few are deadly like the rattlesnakes, copperheads, cottonmouths and coral snakes. Harmless or not, snakes are repulsive and a source of fright to most people. If you see one in your backyard, flower pots, by the poolside, and God forbid, your kitchen or the bedroom, what you should do and what you should not do are some of the issues we are going to look at. If you cannot identify the species or do not know whether it is venomous or not, don’t take any chances. Call a professional who knows how to get rid of snakes. What is now important is to find out how and why it came; with a view to preventing a recurrence. Did it come after a rodent like a mouse or did it come for any other food like what is in your garbage collecting cans? Have you been keeping them open inviting all kinds of pests home? Many snake repellents can be used effectively to keep snakes away, especially if you live in a snake prone area. Snakes have a smell receptor called Jacobson’s organ which is extra sensory in the perception of smells. The odor and the harsh taste the repellent discharges almost anesthetizes the snake making it lazy and weak causing it to make a hurried retreat before things could become too hot for it. 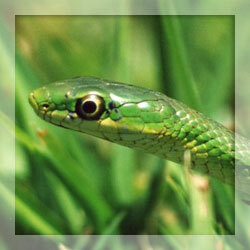 Snakes will not easily come to a house garden unless for food, shelter or as a hiding place from a potential danger. As some preventive snake repellent measures, clean all the mess in your garden and make it orderly and fit more for human habitation than for snakes. This will involve keeping the grass short and regular tidying up and disposal of all garbage collected without much delay. Keep all the garbage cans, other cartons and recycling boxes etc. closed so that snakes will not be attracted to them for food, shelter or hiding. If you are living in a highly snake prone location with a problem of recurrent invasions from snakes, there are snake collectors who would be more than glad to come and help you free of charge by capturing the snake alive and removing it. You may contact a local branch of a herpetological society for advice and assistance. This is one good way if you’ve been wondering how to get rid of blackheads. If you identify the snake species and are positive that it is not a venomous type, and as long as you don’t feel squeamish about it, it is rather simple to catch a snake alive and release it elsewhere to a natural habitat far away from residential and commercial areas. If you are generally the lucky type, there is a small probability that the snake you have got within your premises is a black racer, in which case it is a blessing in disguise; because it devours all kinds of venomous snakes! If it is a black racer, you just let it be in your backyard without allowing it to come too close for comfort. It’s a natural snake repellent, after all!